(and what you can do about each one of them). 1. When is what I want going to manifest? reinforced the behavior that we felt at that young age. and make new choices that help you evolve and grow. passion, it WILL manifest – in its own time. So, its really already here – but the mind can’t see it yet. up or not, you’re accessing a level of mastery that few humans ever reach. the essence of creation itself. you are greater than all the “getting” or “having” will ever give you. the patience that it takes to “wait” for it to “show up”) is the key. Is my Heart really in this? Do I love this path? What would I love to create most? 3. Am I doing something wrong? from seeing the truth in your life. when what you want hasn’t shown up yet. But each of these emotions are hiding the real issue. ourselves who we’re really judging. guiding you to a simpler way of being. And “having” then is easy – when you are already be-ing. If you think of the things you want most, why do you want them? In other words, what if you already had them already? Manifesting gets easier when we step out of the way and let go. your Higher Self – and let yourself manifest from your Heart. and focus have been invested. Beyond our normal human understanding. very interesting results (and interpretations). that your intent is already real before you can ever “see it”. and new inspiring and energizing ones spring forth. this kind of growth in such a short period of time? What if the seeds of your growth have *already* been in place for years? for your gentle nurturing and guidance? How do you nurture these gifts? dis-serving memories and old roles. to create an inspired and enlivened vision path filled with love, peace and serenity. The past is just a memory and it has no bearing on your True Self. “Choice Point” happens in the moment. It’s really all the same. Because it unlocks the door of all Creation. What gifts are you willing to give life to? 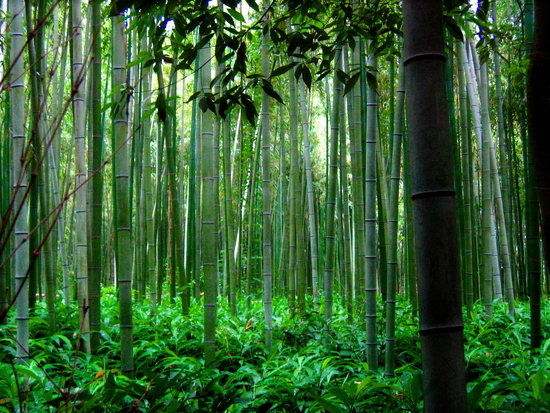 What secrets lie waiting to spring forth like the bamboo tree? It’s time my friend to nurture your Dreams and Heart’s Desires. How do you think different? P.S. – Something exciting is happening next week.